It is all very cutesy making jokes about who is taking whom for a walk and patiently smiling when your dog is attracted to a distraction. Yet, dogs tugging and pulling on the lead can be a nuisance, even dangerous. So how do you train out the behaviour? 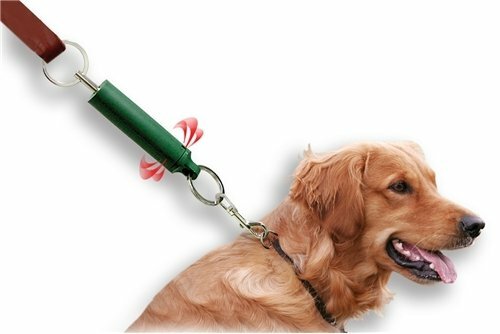 An easy dog training aid. The dog tweeter is a small accessory which links in between your leash and your collar. Immediately there is a tug, the dog tweeter whistles, your pooch hears this and you are reminded to give a firm NO or STOP or BAD DOG. That dog brain is quicker than we think, and within 2 to 3 days most get the message and stop dragging you. Dog tweeter is not painful, works best on canines weighing over 8.5kg, and does not need batteries. Now you know how to stop dog pulling on lead. Stop Dog Pulling On Lead text, images and video are copyright.